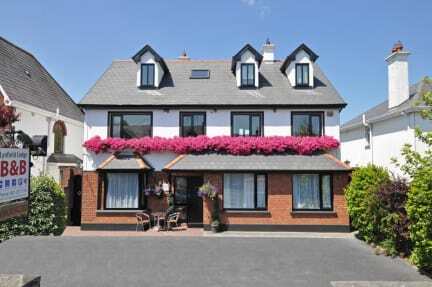 Lynfield Guesthouse i Galway, Irland: Bestill nå! 28 days notice required for full cancelation or number changes. For cancelations after this time full charge will apply. Pre-authorisation of credit card required on arrival. 0-12 and 12-18 groups must be accompanied by adults. Lynfield is located just 3 minutes walk from Eyre Square, Galway's city centre. Lynfield is a large detached house with solid walls and flooring. It is warm and comfortable and reasonably priced. 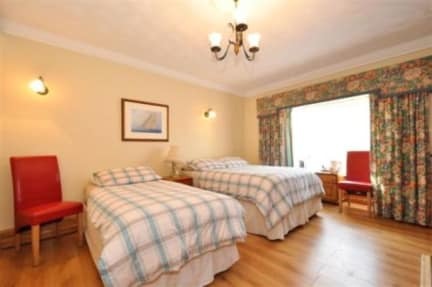 All our rooms are en-suite, power showers, have multichannel plasma TV. Beds have memory foam matteress for maximum comfort. Free broadband available. Tea and Coffee making facilities are provided. Lynfield has a good atmosphere to mix with others and plan you days touring Cliffs of Moher, the Burren, Connemeara, Aran Islands, Inis Boffin, Westport and Knock Shrine. The city center is on your doorstep, go shopping or visit the many fine restaurants and pubs. Or relax and take it easy with the greyhound & Connacht rugby grounds just 100m away. Lynfield, like the Galway Race festival caters for all tourists local, European, American, Asian etc. Helpful and friendly staff and owners provide excellent facilities, centrally located to recommend to friends and family easy accessible from Dublin Airport via new M6 motorway, Shannon and Galway Airport close by.